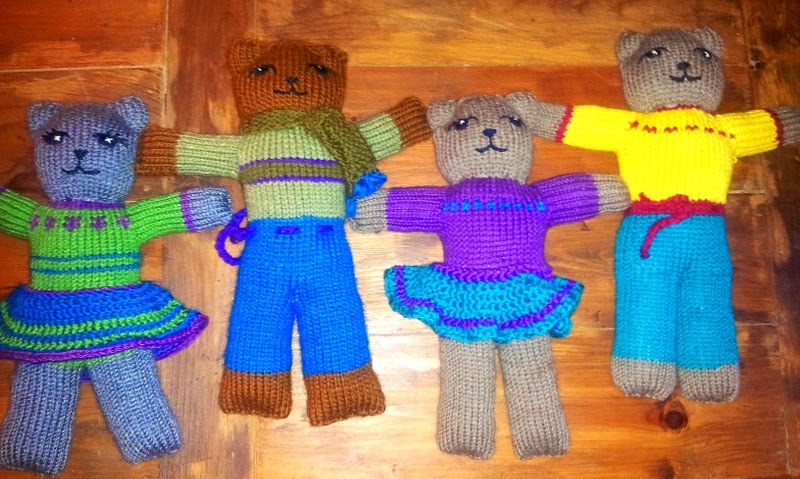 People from around the world knit and crochet bears from the same pattern, and then donate them to the project. I ordered a pattern and immediately went to work stitching up some bears. They are a mix of yarns, some wool, some cotton and acrylic. Lots of texture and color. They were knitted in the round with 4 dpl in size 7. I enjoyed making them so very much. If you are looking for a simple way to give some of your heart to a child, this is a great option. 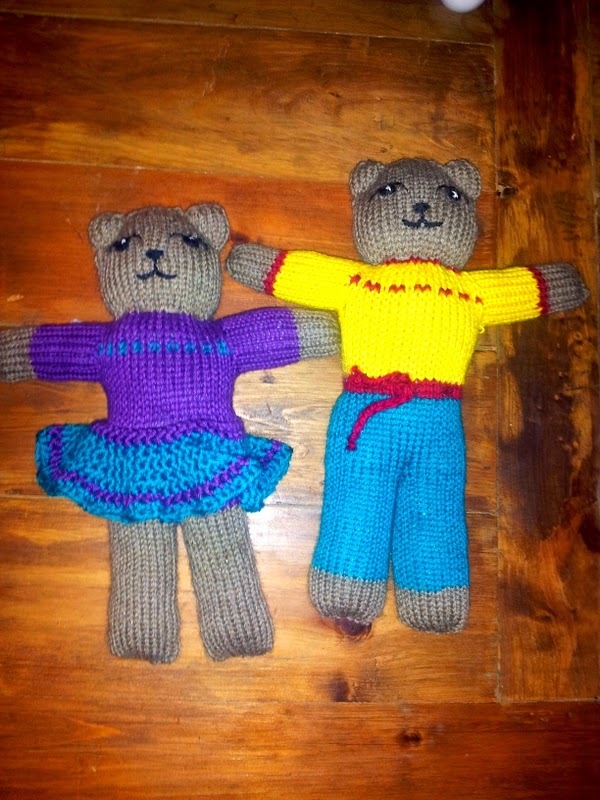 They have patterns for a knitted flat, knitted in the round or crochet bear. Each bear is given to a child affected by AIDS in Africa, Haiti and other places.